I've had a few requests for being able to route cables out the rear of your modular. Three modules so far have been shipped with this modification (and one other user made the mod himself), so I decided to offer it to everyone. The way it works is that it leaves the front DB-25 in place, but disconnects them from the rear headers and replaces them with a longer ribbon cable that can be terminated with either a male or female connector. You'll be responsible for securing everything, but if you have an open case, it will give you a little more flexibility. It's a purchase option for new purchases. If you want one for a module you already have, feel free to reach out. 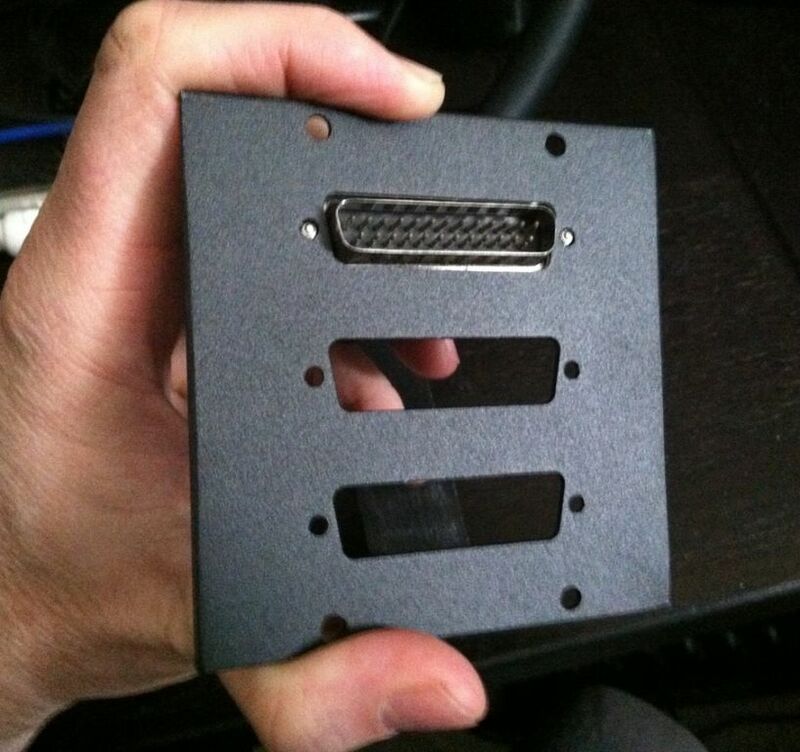 This is a good addition/option to avoid that thick DB-25 connector on the front panel!!! Incoming PM. nice to have the option. I am very interested to get this i/o. But I have an RME card and I have to go in via TRS. I suppose if I have rear-mounted DB25 then I can simply hook up the breakout cable there without a need for that ribbon? Which breakout cable would you recommend? that's what i have going into a patch bay. If I just want to mount a DB25 on the rear of a case, is there any reason why a parallel port cable kit won't be good enough? It might work. The questionable problem would be the pinouts of the IDC cable. I don't know how most of the old ones work because I use a 24-pin IDC cable and trim pin #1 which is not used on the DB-25 connector. My guess is they use a 26 pin IDC cable with one of the receptacles keyed. If it's 26 pins, it won't fit in the slots that are routed in the power PCB - you can see on the shot schneidersladen took and has on their website. (Where are they getting their DB25 ribbon connectors that they can sell for 3 quid!? Mine cost $12 each! Thanks for the info Scott. Really appreciated. I don't think I'll risk it. 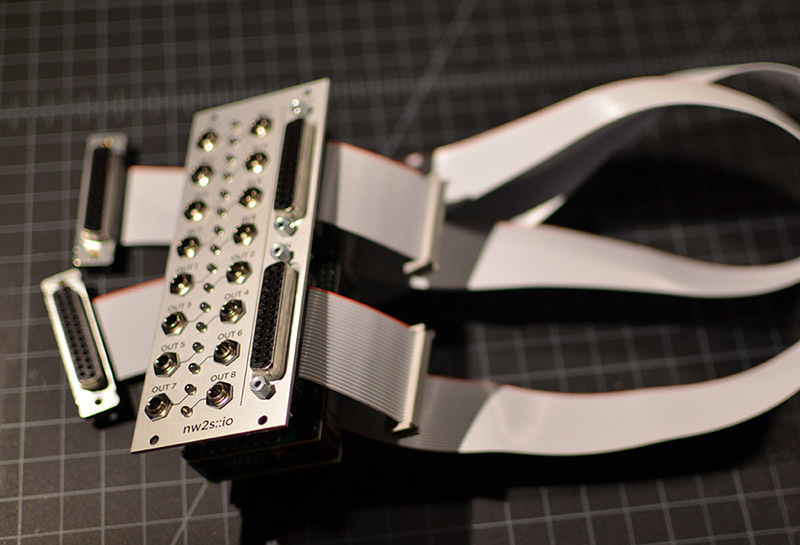 Redco has DB25 connector plates that could be used to rear mount the ribbon cables. They're part of their "Redco UCP" series for either mounting in a 2U modular rack frame or in their modular stage boxes. The DB25/D-SUB plates come in 1, 2, 3, or 4 connectors. I got a 3 gang one cause I'm gonna do my Cirklon CVIO cable out the back too. I'm planning on just cutting a hole in my Doepfer Monster case and mounting it that way. Nice. I'll drink one to that too.